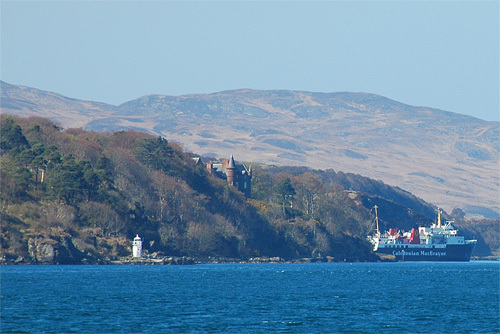 The light in question is Carraig Mhòr on the approach to Port Askaig, seen here on the left. Many will have seen during their arrival on Islay, but probably not have paid too much attention to it. I'm not sure of its significance in times of GPS (similar to all the other lighthouses), in past times I'm sure it was a quite important light for ships passing the Sound of Islay. For any passenger on the ferry to Port Askaig it will be a sign of imminent arrival. With that I'm closing for today, have great weekend!